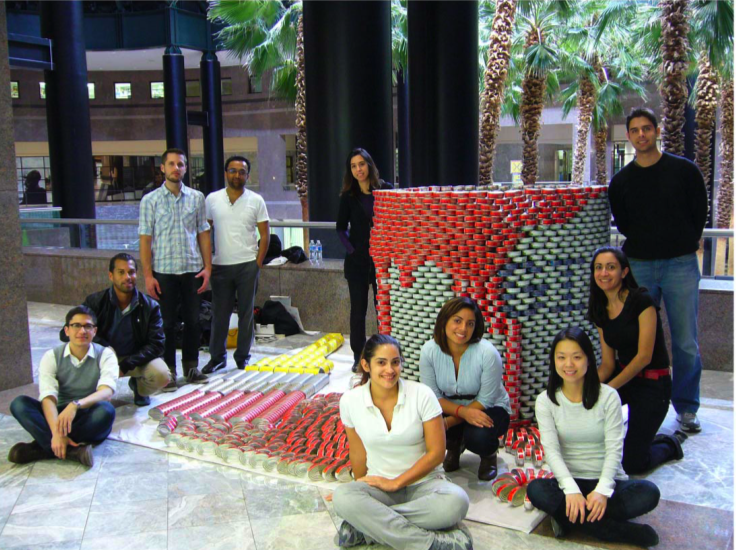 CANstruction is an international project that combines canned food and creativity to help fight hunger in communities nation- and world-wide. 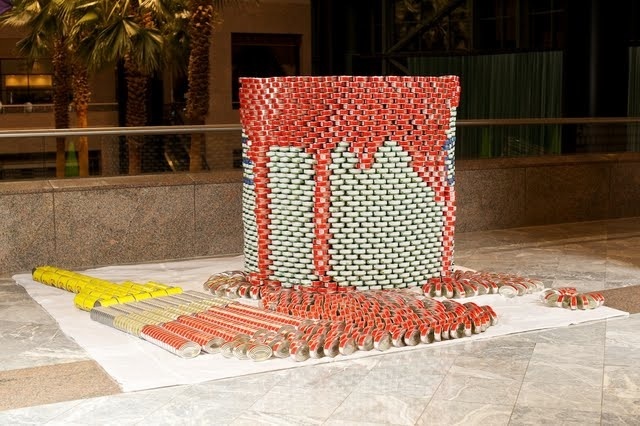 At each CANstruction event, businesses and organizations go head-to-head creating themed sculptures out of canned food. The sculptures are on display for several weeks, prizes are awarded, and the food is donated to local hunger organizations at the end of each event. They titled their sculpture “Paint the Town Fed!” It was on display from November 11-22 at the World Financial Center Winter Garden in New York City. All of the food was donated to City Harvest, and visitors to the exhibit were encouraged to donate canned goods as well. Doesn’t it look great? What’s more, “Paint the Town Fed!” won the judges’ award for “Best Meal.” Congrats to the Dattner Architects creative team for all of their efforts! 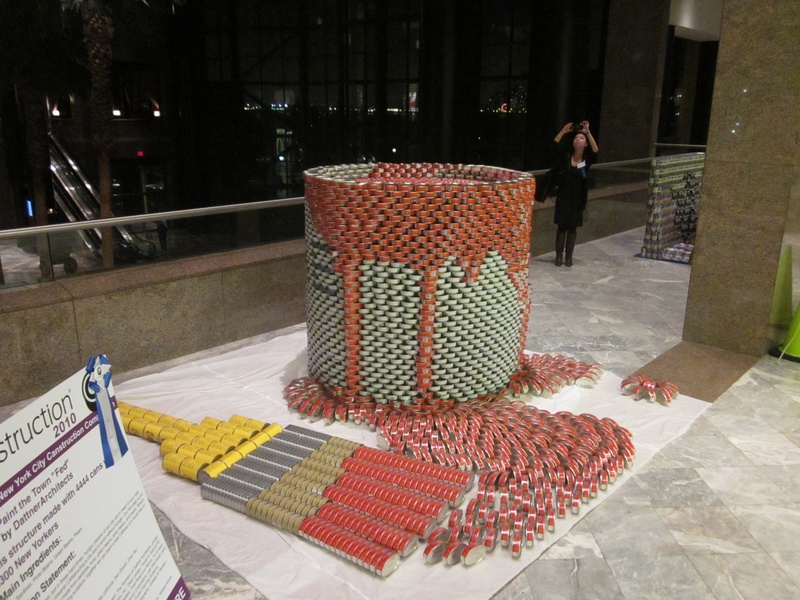 Crown Prince Seafood was glad to help CANstruction feed hungry families in the New York area. Want to see how you can help out in your community? 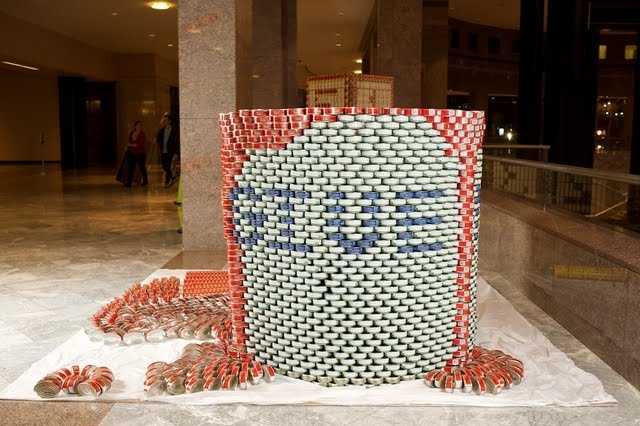 Click the map below to see if there are upcoming CANstruction events near you. UPDATE: We just received the following email from Dattner Architects, including the total donations from their sculpture and a few fun links to news coverage of the event. We would like to express our utmost appreciation for your generous support of our competition entry Paint The Town Fed! 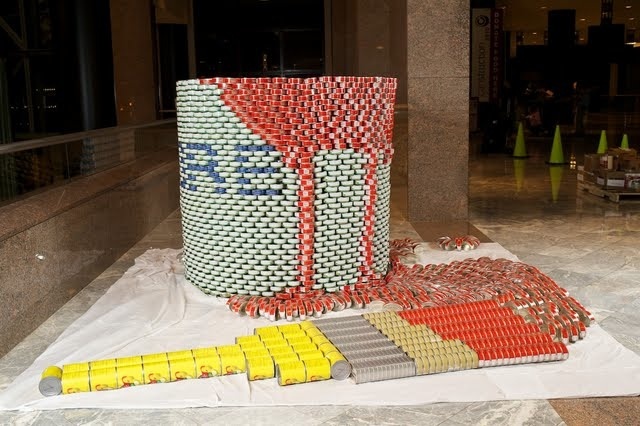 for CANstruction 2010. Your personal commitment meant so much to us, but even more to City Harvest and the New Yorkers receiving the food. Thank you again, and best wishes this holiday season!